Zach Sudfeld had a reputation coming out of college as a good receiving tight end, who needed a lot of work on his blocking. But watching him block against the New Orleans Saints, he’s better than advertised in this area. He had a couple of key blocks on big runs. The New England Patriots made a mistake releasing this player. He’s a 6-7, 255-pound tight end with 4.7 speed, soft hands, and is clearly a pretty good blocker already. Picking up Sudfeld was a very smart waiver claim by John Idzik and company. 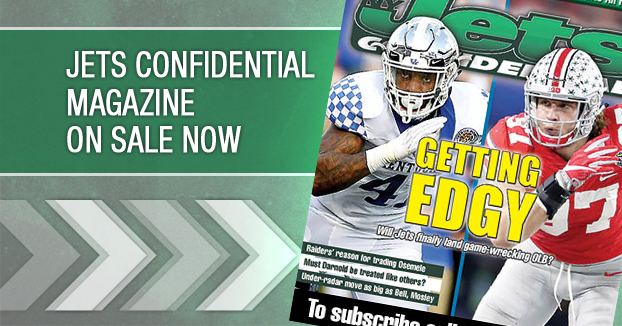 *****The latest copy of Jets Confidential Magazine is out – on news stands and by subscription. Sheldon Richardson, who had terrific game against the Saints, is on the cover. 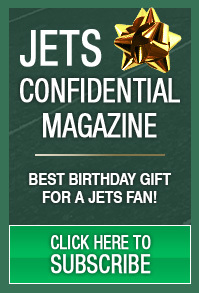 JC Magazine makes a great Christmas, Hanukkah and birthday gift. Call 1-800-932-4557 (M-F, 9-5) to order for yourself or a friend or relative.